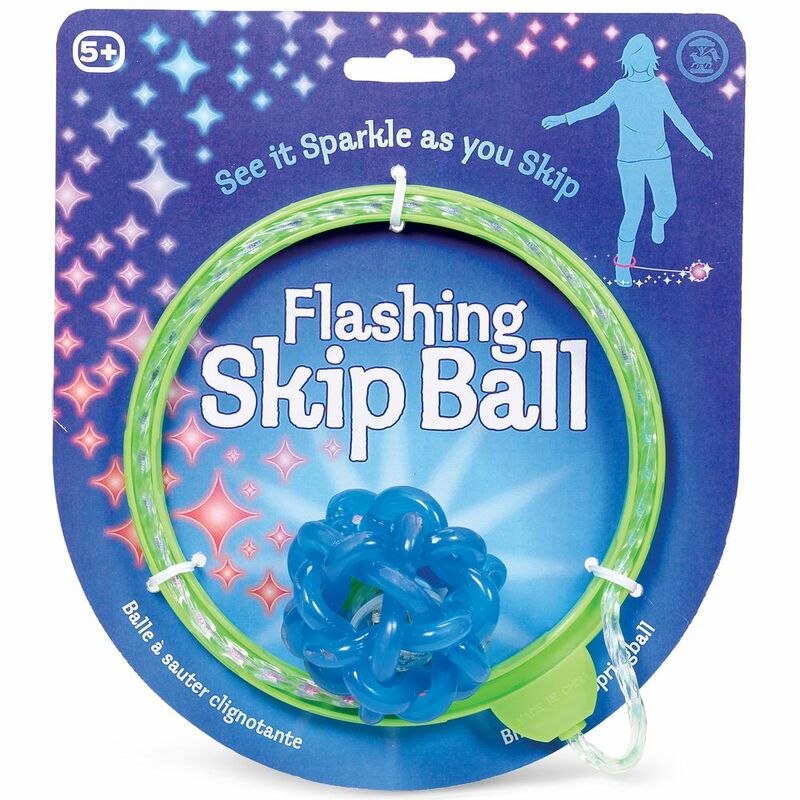 The Flashing Skip ball is designed for the classic solo skipping game for kids and adds a very exciting new twist. 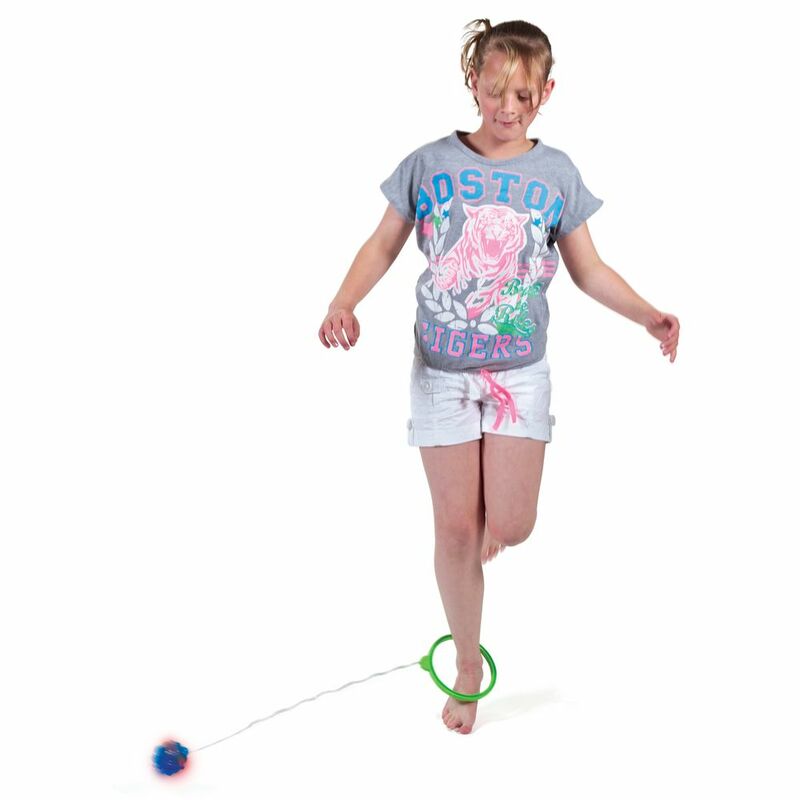 Simply spin it around with one ankle and hop over the tethered flashing globe with the other foot. Perfect for indoors and outdoors. for submitting product review about Flashing Skip Ball.